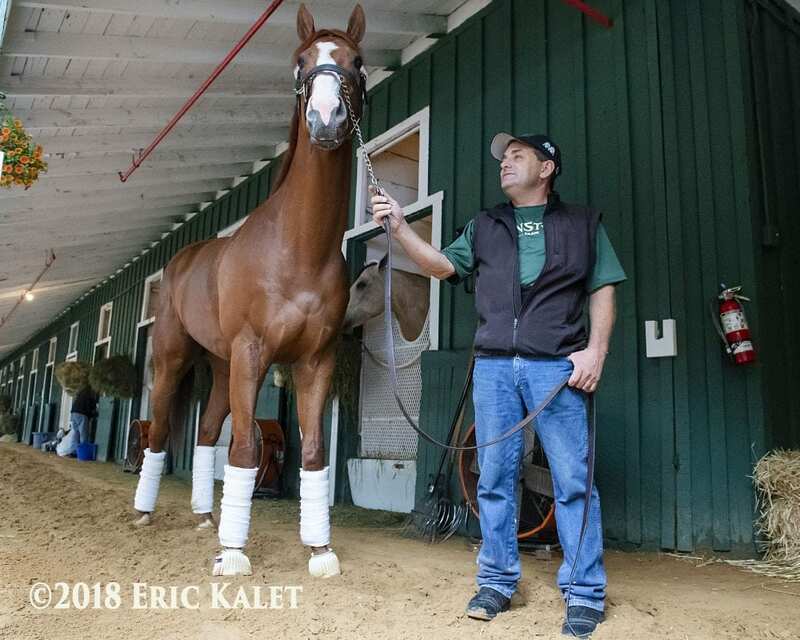 Reigning Kentucky Derby winner Justify, who arrived on the Pimlico backstretch Wednesday afternoon, will break from gate seven in the Preakness on Saturday. It will be the second time rider Mike Smith and the colt have sported the number seven, which was also their post position in the Run for the Roses. Justify was assigned morning line odds of 1-2. Good Magic, who drew the fifth post position, will be the second choice at 3-1. Rain and storms have dogged Baltimore throughout the week and the forecast does not suggest the precipitation will let up. Chances for rain or storms are at 80 to 100 percent each day between now and Saturday's race. Tom Amoss (trainer, Lone Sailor; PP #2, 15-1): “With an eight-horse field and a long run to the first turn, there's really no disadvantage to where anyone drew. The one curious thing about the draw is that Justify's stablemate, Quip, drew all the way down the rail. In that sense, he almost has to go to get some kind of position, which is kind of his style. I'm wondering how that will play out for those two horses. 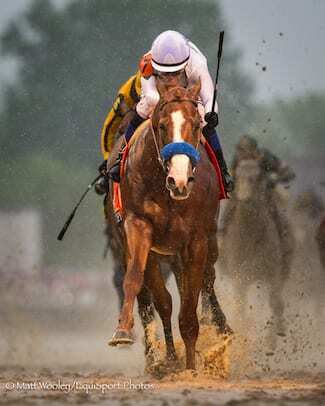 This entry was posted in NL Article, Triple Crown and tagged 2018 preakness, Bob Baffert, good magic, Justify, pimlico, post position draw by Paulick Report Staff. Bookmark the permalink.